Putin’s dancing queen daughter behind Moscow tech incubator. Bloomberg is reporting today that a fund run by Russian President Vladimir Putin’s daughter Katerina and backed by her father’s allies is behind a $1.6 billion startup incubator and science center to be built near Moscow State University. It’s rare that anything is reported about Putin’s family. When he divorced his ex-wife, Lyudmilla, in 2013, she had barely been seen in public for years. Katerina, 28, and her sister Maria, a year older, have never given a media interview. (Maria reportedly made a quick exit from Holland after the crash of flight MH17 last year.) A Moscow tabloid was reportedly raided by the security services after publishing rumors of Putin’s affair with gymnast Alina Kabayeva. The latest news about Katerina was first published by RBC Daily, a newspaper owned by billionaire Brooklyn Nets owner and kind-of, sort-of opposition figure Mikhail Prokhorov. The fund is backed by a number of prominent executives who are close Putin allies, and the incubator project is seen as a direct competitor to Skolkovo, the “Russian Silicon Valley” initiative under development outside of Moscow. 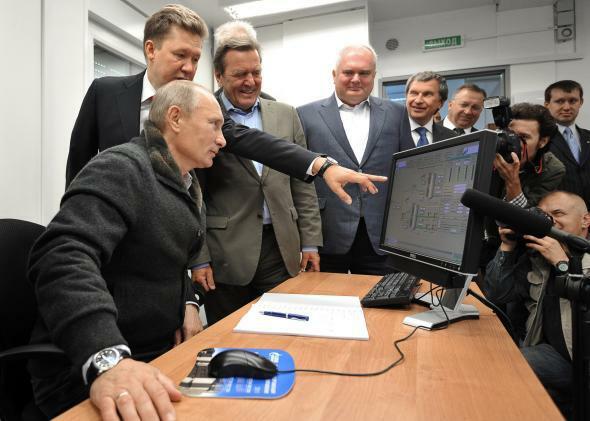 Skolkovo was a pet project of tech-savvy former President and current Prime Minister Dmitry Medvedev. Though Skolkovo attracted investment pledges from companies including Microsoft, Samsung, Siemens, Intel, and Cisco, Putin was never particularly enthusiastic about it. Since he returned to the presidency in 2012, Putin has downplayed Skolkovo’s importance and denied it preferential tax treatment. In 2013, its offices were raided by police investigating embezzlement charges, a common method used by the government against troublesome companies and organizations. The new project seems like a further eclipsing of the already negligible legacy of Medvedev’s tenure, as well as a sign that at least one of the Putin girls is going into the family business.